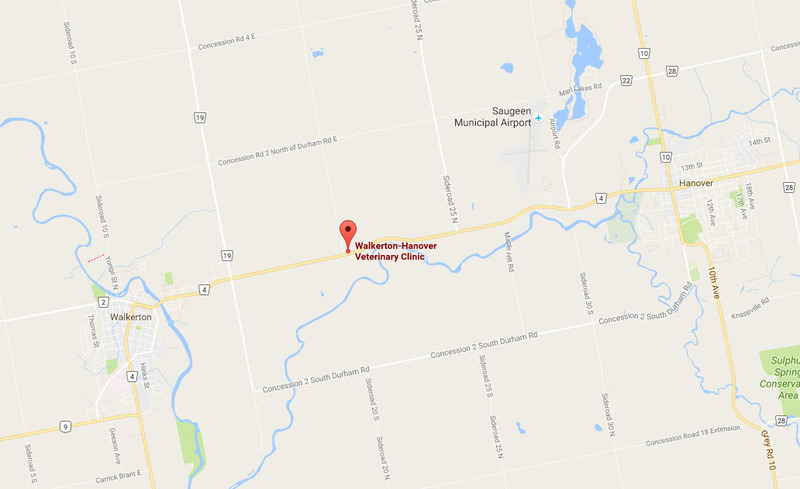 Exceptional veterinary care in Walkerton. Below you will find contact information for our large animal office, the Walkerton-Hanover Veterinary Clinic. Our veterinarians invite you to contact us to make an appointment. View contact information for Hanover Veterinary Hospital. *After Hours Emergency: 519-881-2090. *Boarding pick up/drop off for Sundays or holidays 8:00 am or 5:30 pm.